Water data indicates 60,901 residential properties were vacant in 2017 at a rate of 3.9%. Absolute vacancies using zero litres of water revealed 21,326 residential properties at 4.6% of the rental market. Up to 16.2% of investor owned rental properties were potentially vacant. Absolute vacancies had the potential to add 17.3% to housing for auction in 2017. The Australian Bureau of Statistics must take a more active role in measuring vacancy. The top 20 commercial vacancies (based on 0LpD) averaged 13.6%. Such vacancy placed undue pressure on small business, curbing their ability to compete, to provide wage increases. 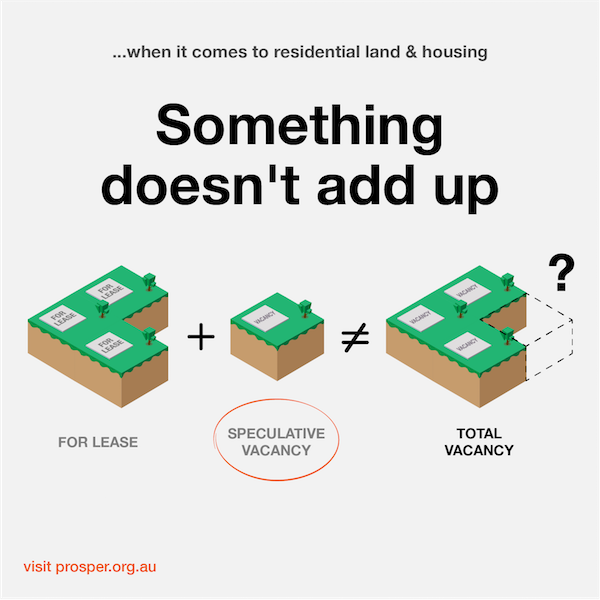 With a three year lag since our last report, we note that speculative vacancy numbers were down 35.1%. This is commensurate with profit taking at the peak of the property cycle. Vacancy is expected to increase over the coming years as speculators behave in a classic counter-cyclical fashion to snap up properties at the bottom of the market. 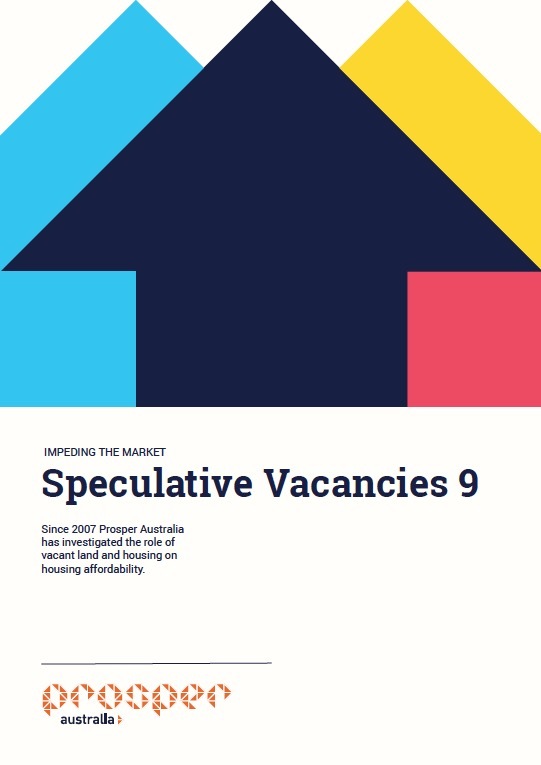 Speculative vacancies increased by 49% during the 2010 -11 low point. Historical evidence points to the repeated occurrence of housing supply being turned off just at the point it could deliver affordability ie just as the market corrects. Land speculators impede the market to economise their efforts – earning more by doing less. Enforcing scarcity adds additional pricing pressure to the market. This inversion puts the public interest directly against the interest of land speculators. Speculative Vacancies are unethical and should not be encouraged. An urgent review of policy that contributes to increasing land and housing commodification is needed at both State and Federal levels. Land supply is a fundamentally flawed affordability strategy unless a counterweight to the market power of land banking is enacted. A number of international policy responses have been implemented due to the pressure property speculation places on the wider community. Many of these have focused on the taxation of foreign investment, which inadvertently protects local investors. Public education must continue to broaden such imposts. A reformed State Land Value Tax (LVT) must be broadened to replace Stamp Duties. This is a more holistic technique to discourage vacancy that actively counters the market power land bankers enjoy. Such a policy switch will signal that both lazy land use and property flipping are no longer valid market activities.